Overhead Distribution | B & B Electrical and Utility Contractors, Inc.
B&B Electrical and Utility Contractors Overhead Distribution Powerline Division provides services to various Investor Owned Utilities, Municipalities and Electric Cooperatives—building and maintaining distribution infrastructure by providing crews on a long term contract or bid basis to construct, update and maintain Overhead Distribution facilities. 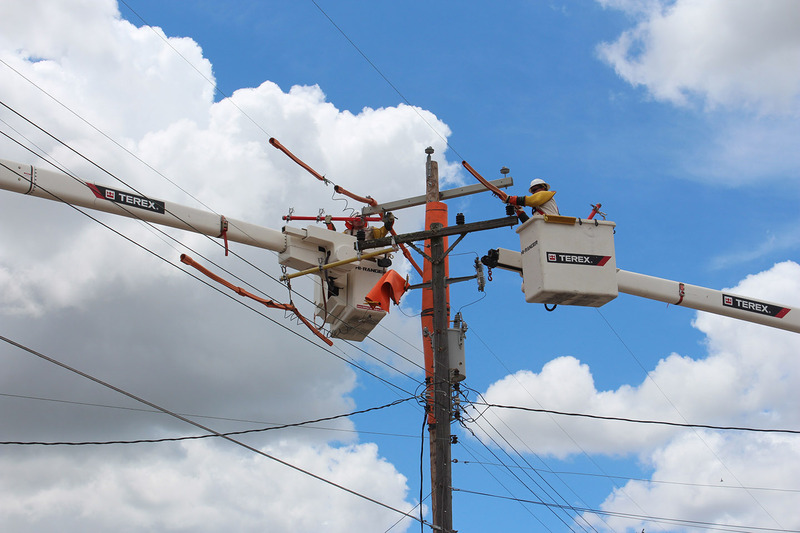 Within our Overhead Distribution division is a team of field-experienced management—ready to estimate, schedule, operate and openly communicate to our customers in order to maintain a professional and organized working relationship. 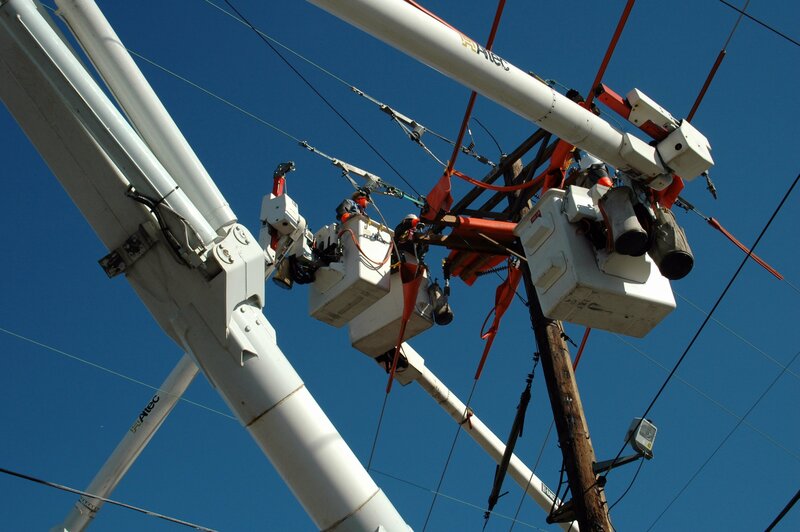 Our Overhead Distribution management team is focused, from top down, on providing the personnel, equipment and tools our crews need to successfully and safely complete projects on time and within budget. 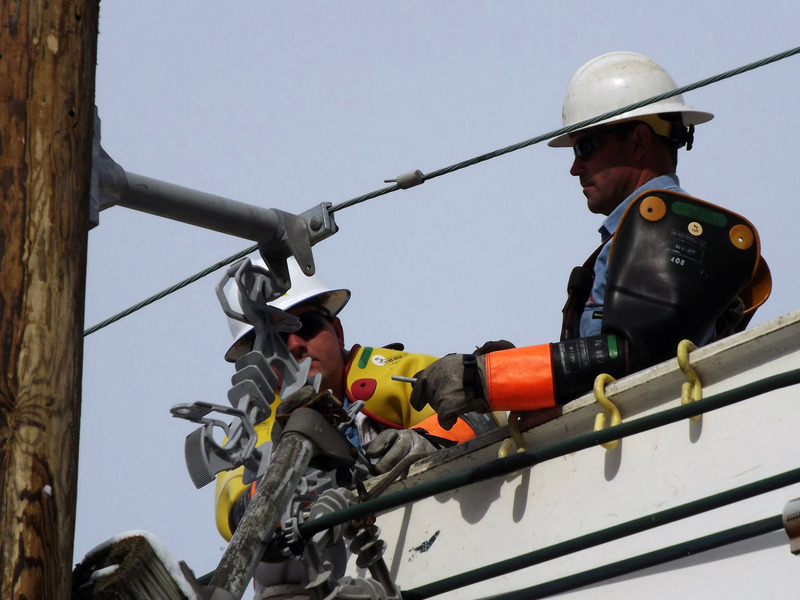 B&B has become known within the Distribution Division as one of the leading contractors operating daily job functions for the system owner thanks to the reliability of our skilled crew members. Their experience and knowledge of safety allows them to complete the job in a timely and efficient manner, leaving no detail unfinished. 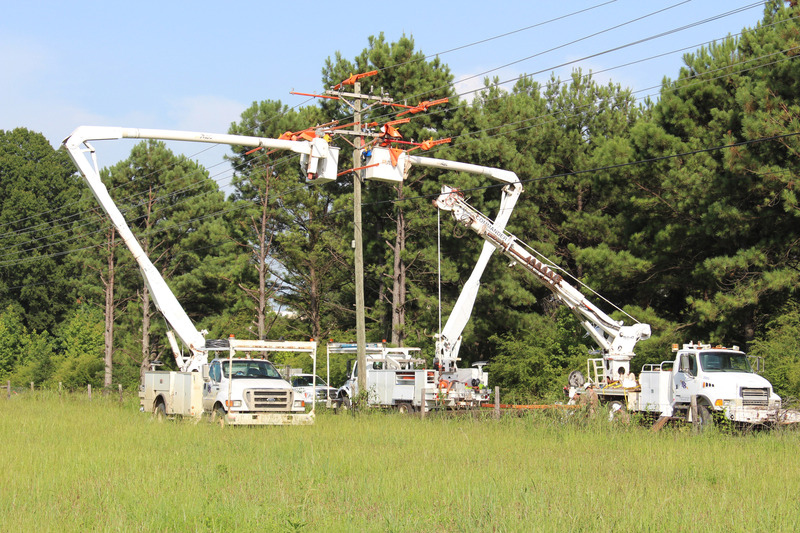 These crews have the tools and equipment to build and maintain Distribution lines of all types no matter what environmental conditions may exist on site. 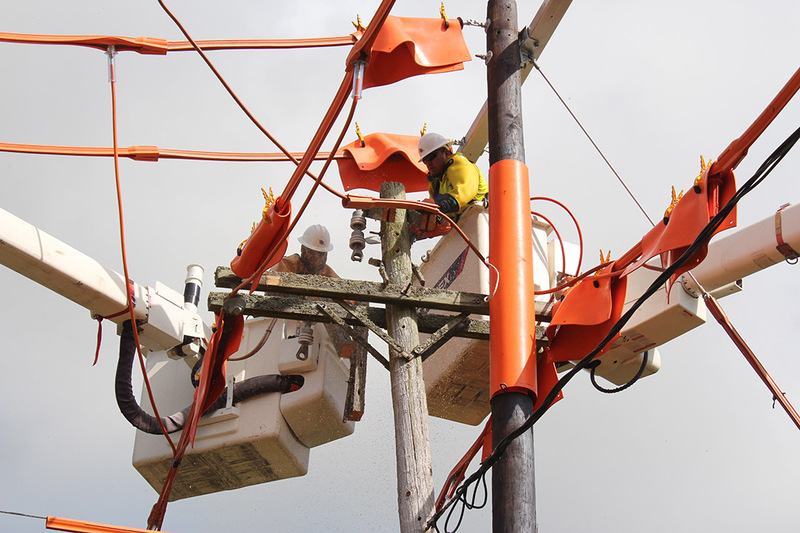 If your company needs help with line maintenance, new construction or storm restoration you can count on B&B.